The $34 million vertical campus was designed as an adaptive re-use of a 1963 office building. Hord Coplan Macht, formerly SlaterPaull Architects, received the Mountains and Plains Award for Planning from the Rocky Mountain Chapter of the Association for Learning Environments for the Emily Griffith Campus in Denver. The award was given to the firm for its master planning and programming work to convert the former office building at 1860 Lincoln St. into a downtown campus for Denver Public Schools. Hord Coplan Macht teamed with PCL Construction on the project in a design-build partnership. 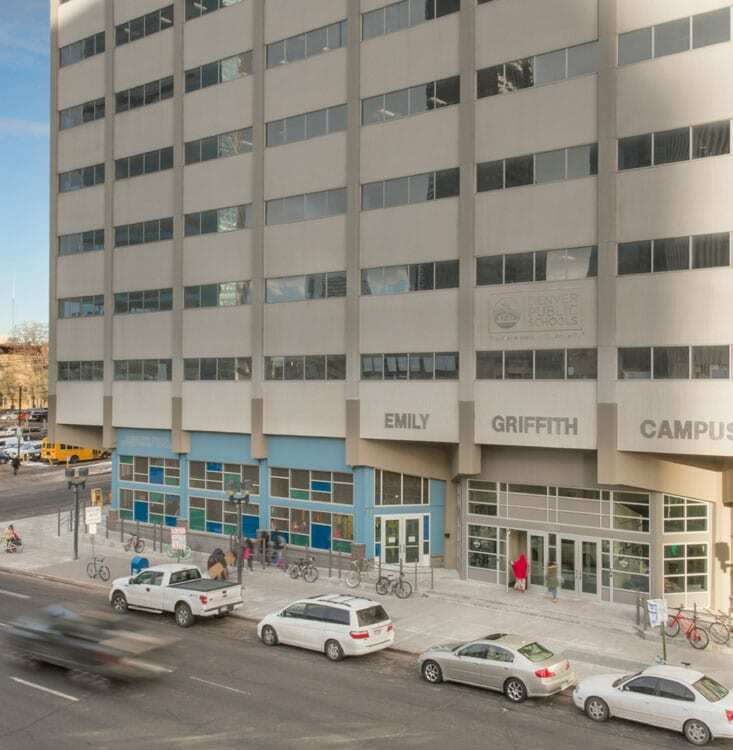 “We appreciate the recognition of our work on the Emily Griffith Campus and want to thank our partners and Denver Public Schools for allowing us to be involved in such an exciting project and important addition to the educational landscape in Denver,” said Adele Willson, principal, Hord Coplan Macht.